Ola Akache Nunez focuses her practice on the defense of management in a wide range of employment-related litigation matters, including alleged discrimination, hostile work environment, retaliation, harassment, wrongful termination, failure to accommodate, whistleblower and other employment-related claims brought under various federal, state and city statutes, in both state and federal trial and appellate courts, as well as before the American Arbitration Association. Outside of litigation, Ms. Nunez also counsels employers on a variety of legal matters and assists with internal investigations of workplace matters and internal audits of employer handbooks and policies. Ms. Nunez also represents clients in complex commercial litigation, tort defense, products liability, education law, and other litigation matters. 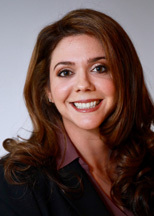 Ms. Nunez has served as second chair in the defense team on employment and product liability trials, including an expected 5-7 day trial in which she served an integral role in obtaining an order of involuntary dismissal at the close of the plaintiff’s case in chief, as well as in a complex products liability trial that ultimately resulted in a jury verdict in favor of the client. She has prepared numerous successful pre-Answer motions to dismiss in federal court in employment and complex commercial litigation cases, including two successful motions to dismiss in a complex commercial litigation matter involving business tort claims initially brought in the United States District Court for the District of New Jersey and dismissed for improper venue and then re-filed in the United States District Court for the Southern District of New York where it was dismissed on the merits. She also prepared the successful brief in opposition to the plaintiff’s appeal of the District Court’s decision to the Second Circuit Court of Appeals, which was ultimately decided in the client’s favor. She has also successfully obtained summary judgment dismissal of a fifteen-count Complaint filed in the Superior Court of New Jersey alleging a variety of discrimination and retaliation claims after protracted litigation involving thousands of pages of discovery and the depositions of more than twenty witnesses. Prior to private practice, Ms. Nunez served as a law clerk to the Honorable Garry S. Rothstadt in the Superior Court of New Jersey, Law Division, in Passaic County. During law school, she gained legal experience as a student attorney at Rutgers Urban Legal Clinic in a variety of civil matters; research assistant at Rutgers University School of Law; legal extern at the Federal Public Defender’s Office, District of New Jersey; and legal intern at the New York City Department of Investigation, Department of Buildings. Ms. Nunez also volunteered for the Domestic Violence Advocacy Project, where she worked with victims of domestic violence at the Essex County Superior Court in the Domestic Violence Unit, and provided domestic violence litigants with an overview of the legal process and assisted them in obtaining Temporary and Final Restraining Orders. Prior to law school, Ms. Nunez served as Guardian ad Litem for a number of years in Florida, where she advocated for the interests of an abused and neglected child by ensuring the child’s needs were being met while in foster care, and by representing the child’s interests in court hearings involving the resolution of parental rights.